Puppet shows for children and adults. Puppet making workshops for kids. All puppets made from recycled materials. LilySilly entertained a group of 3 year-olds at my son's birthday party with a guitar accompanied puppet show that captivated the children (and perhaps the adults too). My son loved it. After the performance she spent some time showing the fascinated children how the show worked. I cannot recommend her highly enough. We come with our puppet theater stage, a ton of puppets and all the sound equipment we need to give you a great show. We have a few different shows depending on your needs, ages of the audience..etc. We have a show for little children (3-8) called "Yes Around the World" in which a purple puppet travels by hot air balloon all over the world singing songs in a number of languages and learning to say "yes"! We have an all ages show called "Aunt Irene's Late at Night Show" full of variety acts like singing sloths, celebrity guests like Johnny Depp and Carl Sagan, odd lizards, fuzzy puppets, and jazzy songs. We can perform for half an hour to two hours and can offer the children some puppets to play with after the show. We also offer puppet-making workshops with materials included. If you have something specific in mind, just ask and we'll try to fit your needs as best as we can. 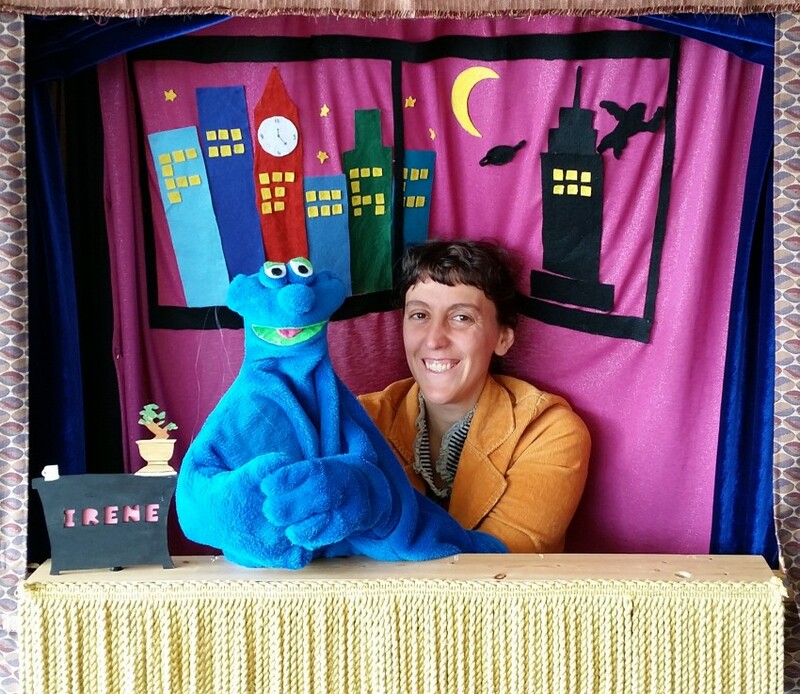 Lily Gershon – I’m a puppeteer, singer and toy maker, among other things. I got my masters in Education and was once an English teacher but now I make puppets, perform puppet theater and work with local schools. My grandmother saved everything and one day I found myself owner of a lot of old, ugly sweaters with giant shoulder pads, bottles of sequins and jars of corks. I used these things to make puppets to entertain my friends but soon found a lot of satisfaction in working with reclaimed parts and talking to my hand. My goal is to make art out of what I find or already have while being incredibly silly. I’m also part of a jazz duo in which I sing in a number of languages. 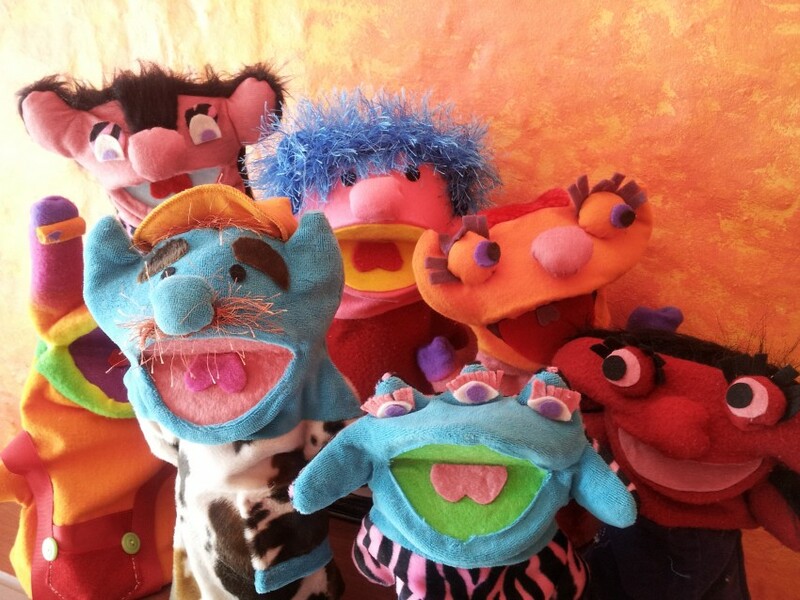 I combine my puppet making and my singing to create performances for kids and adults. 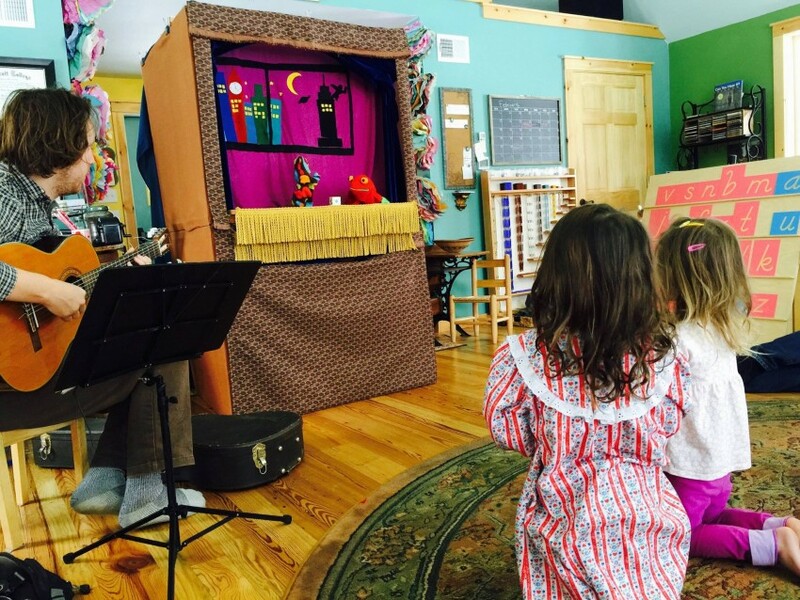 Matthew Ocone, a classically trained guitarist, plays live music for my puppet shows – and everyone lives happily ever after.